When the Duke of Windsor (Alex Jennings) is interviewed by a magazine reporter, he opens the doors of his private rooms. Four perfumes and a soap can be seen among his toiletries. 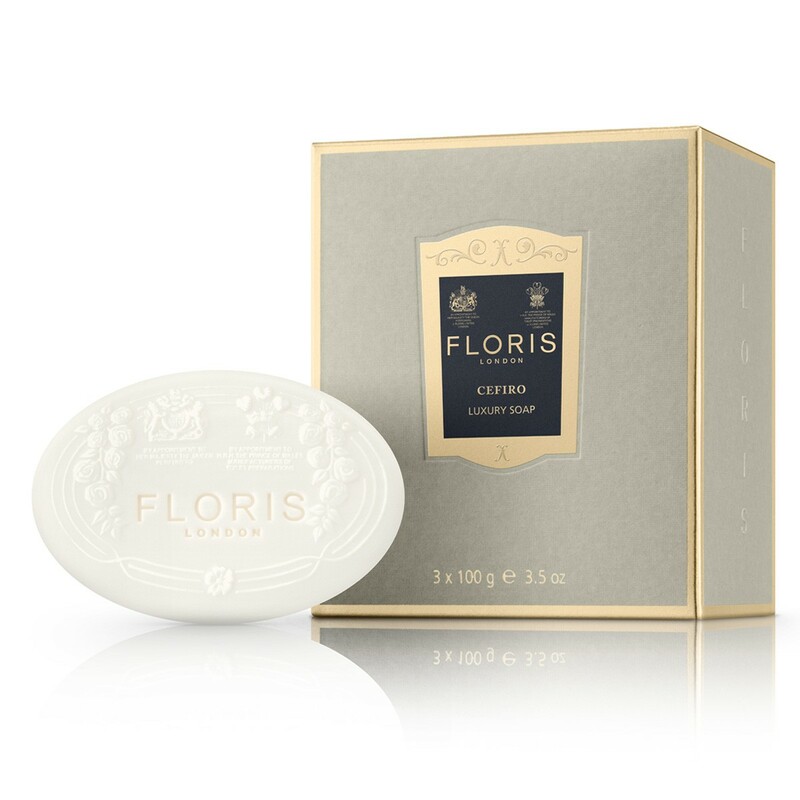 The “good, well-milled soap” in the silver soap dish is by Floris. The first perfume on the left is by the same brand, which received the first Royal Warrant in 1820. Reading the perfume label is impossible, but I’m pretty sure it could be Special N°127, a fragrance that the Duke of Windsor wore. Created in 1890 for Russia’s Grand Duke Orloff, it was originally named Orloff Special, but later renamed after the page in the ‘Specials’ formula book in which the recipe was recorded. It was regularly used by Eva Peron and Winston Churchill. The second bottle from the left is Spanish Leather cologne by Geo F. Trumper, another historical London brand, established in the late 19th century by Mr George Trumper, operating from a shop at 9 Curzon Street, in Mayfair. The other two bottles are by Penhaligon’s perfumes. The one with the grey ribbon bow is Blenheim Bouquet: created in 1902, it was one of the favourite perfumes of Winston Churchill. The one with the dark red ribbon bow is Hammam Bouquet, created in 1872 and inspired by the scent of the Turkish Baths on Jermyn Street, Piccadilly. Thanks to my friend Raffy for telling me about this scene and for identifying the Floris soap. 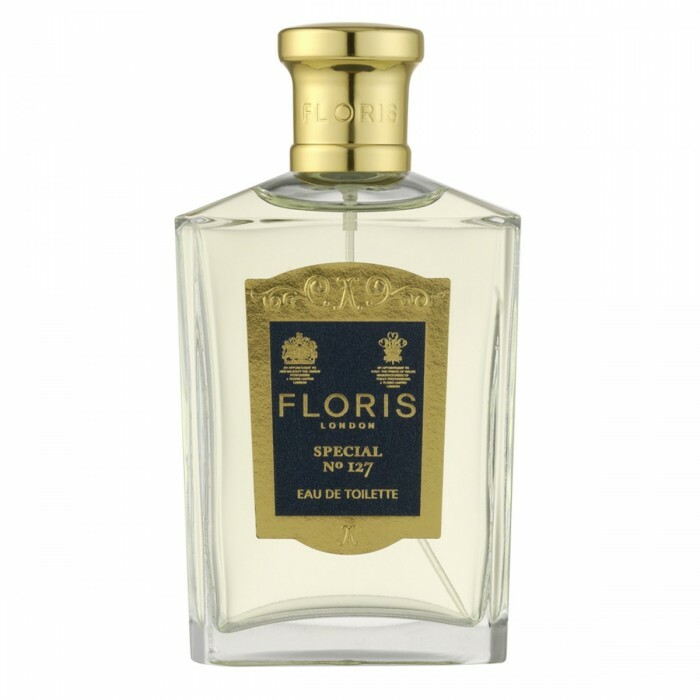 A bit lazy, the Penhaligons and Trumper bottles are fairly accurate (although they looked a bit different then as well) but Floris bottles did not look like that then.